Expect up to 60 hours of power from a single charge with the Moto G7 Power, which features a massive 5000mAh battery. 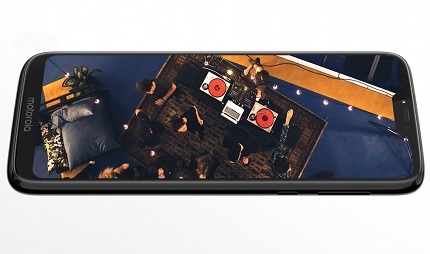 This gives you more time to take photos with the advanced 12MP camera, and enjoy HD movies on the 6.2-inch display. 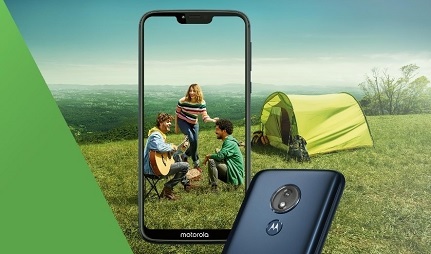 The Moto G7 Power features a long-lasting, 5,000 mAh battery, which promises up to 60 hours of power from a single charge. This means more time watching and streaming your favourite content, listening to music, and browsing the web. 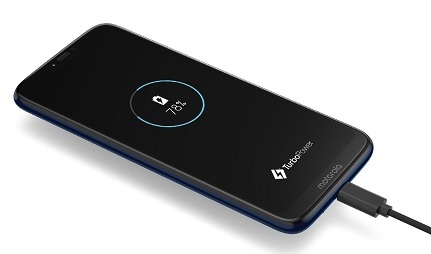 Charging up the Moto G7 Power won’t leave you waiting around - thanks to Motorola's Turbopower feature, you can power-up nine hours’ worth of battery life in just 15 minutes. The G7 Power showcases an advanced 12MP camera, with features such as Portrait Mode, which offers Bokeh-style blurred background effects. There’s also Fast Focus, letting you capture even the most fleeting of moments. The front-facing 8MP camera is just as impressive, perfect for pin-sharp selfies and video calls alike. The Moto G7 Power's 6.2-inch HD+ display is perfect for all your favourite entertainment. Apart from a small notch at the very top of the handset - which contains the phone's speakers and selfie camera - the screen stretches from edge to edge. This makes for an uncluttered and immersive viewing experience. The Moto G7 Power is protected by Corning Gorilla Glass 3, adding an extra layer of resistance against bumps and scratches.